The pretty sherbet colours of the Popsicle furniture collection from Flexa contrast well with the natural wood elements. Designed by Danish team Herman Studio, the range includes platform beds and plenty of clever storage for clothes and toys. It was inspired by the smooth, rounded form of its namesake and includes desks, stools, free-standing wardrobes and chests of drawers, as well as coordinating textiles in Kiwi, Blueberry or Cherry. Flexa provides a great-looking solution for small spaces. It's taken us almost a decade to find something to top the trend for mens' leggings or "meggings" we wrote about in 2009, but the wait has been worth it. As part of their upcoming Autumn 2018 collection, Balenciaga have designed the most ridiculous garment we've seen in a very long time. Basically doing what it says on the tin, the T-shirt Shirt is a t-shirt with a long-sleeved shirt affixed to the front. 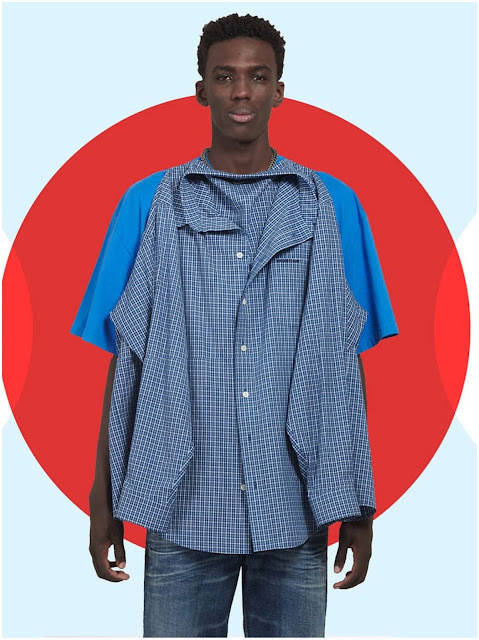 And it doesn't come cheap to look this special; the T-shirt Shirt will retail for a mere $1,290. We wrote about the original Light Phone several years ago. It was created by Joe Hollier and Kaiwei Tang, an artist and product designer who met inside of a NYC-based Google incubator in 2014. This latest iteration continues along the same minimal theme, but has been modified for the way we use phones today. The essentials remain: the 4G LTE phone now has a high-resolution, matte e-ink touchscreen that is only visible when it's in use, a larger microphone and speaker, clean, a custom operating system that allows phone calls, contact lists, messaging, clock and alarm. It is still fairly paired down; it doesn't include any 'unnecessary' apps, music or tools, but features such as a proximity sensor and the up and down buttons will improve functionality. The Light Phone is available in white or black and will begin shipping by April 2019. Breathe is a glassware collaboration by Bermudian glass artist Jahday Ford and digital programmer Joseph Hillary. 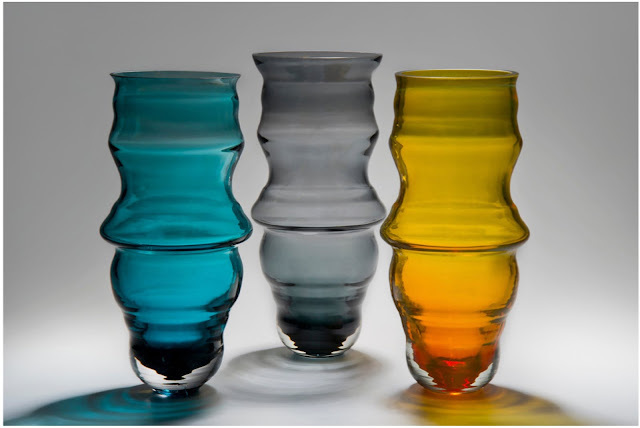 Ford is a recent graduate of The Manchester School of Art and specialises in hot glass and mould design. The pair combine recording, digital rendering and wood moulding to create this new concept. Applying seemingly diverse methods into a single product can often backfire, but Ford and Hillary have managed to create a thing of beauty. Ford is keen to explore new synergies between glass and other materials such as wood, metal, and clay that are made possible by new innovations and, in particular, the forms and textures these interactions create that were previously not possible by the use of traditional techniques. After recording the sound of Ford’s glass blowing into the iron pipe, the audio wave pattern was transferred into a visual stimulus and manipulated into a three-dimensional form. Using a digital programme developed by Hillary, a beech-wood mould was created using a CNC router to accurately mill the desired shape. The super-heated glass was then poured into and shaped by the moulds’ inner contours. As the glass cools, unique patterns and striations are created on its surface effectively creating a one-of-a-kind object that is frozen in time..
Breathe was a finalist in Liberty’s Open Call 2018 and in conjunction with this honour was displayed at the Manchester Craft & Design Centre. The work has also been exhibited in galleries around the United Kingdom including New Designers and The National Centre for Craft & Design. It will be on display at Design Junction in September. Couldn't make it to the island for Memorial Day? 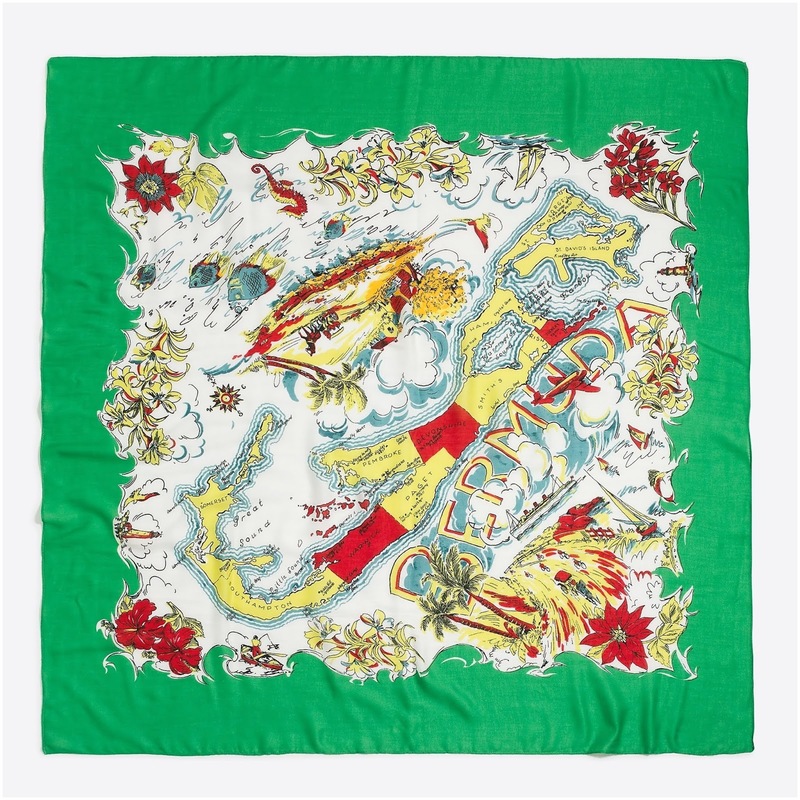 Why not treat yourself to this printed square silk scarf that features a pictorial map of Bermuda instead? With its vaguely retro feel, the scarf is available from the J.Crew Factory website. Receive an extra 50% off the already discounted price by entering the code "WINWIN" at checkout. We spent seven years looking up in awe at this beautifully striking mural. Measuring six feet by eight feet, Christ in Majesty by Ralph and Vera Baney was commissioned in 1970 by Stephanie Shurland, the then principal of Bishop Anstey High School, an all-girls school in Trinidad and Tobago to commemorate the school’s Golden Jubilee. 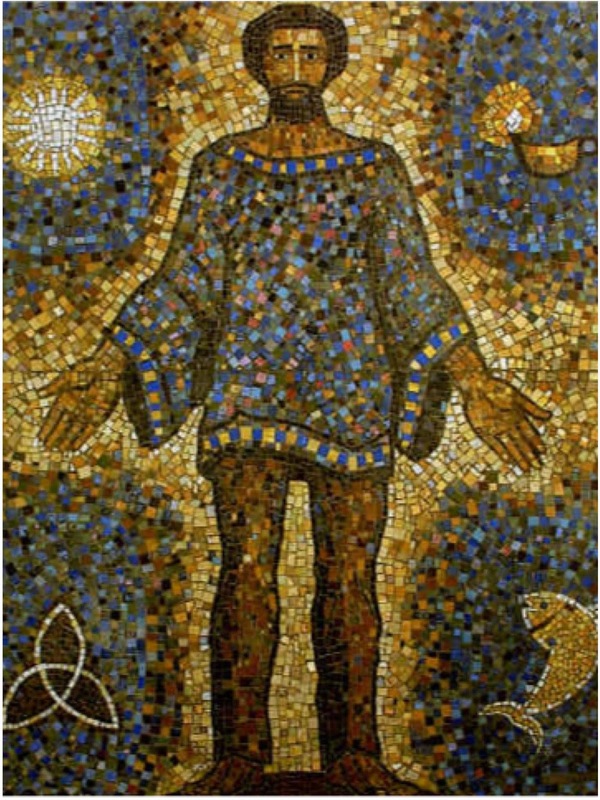 Initially Shurland had asked Ralph to create a large wood carving for the school but he suggested a mosaic mural on which both he and his wife Vera could work. The initial sketch was created by Ralph on brown paper while Vera made the pieces of tesserae, fired and glazed them and arranged them in place secured with epoxy. The mural was made in two sections and mounted directly to the wall. The last pieces of tesserae were glued to cover the lag bolt heads and the seam cleverly obscuring the mounting and hardware. Vera Baney was born in Trinidad in 1930. She attended Brighton College of Art in England as a part time student studying crafts and Alfred University New York. In 1971 she left Trinidad to study at University of Maryland from where she got the BA degree in Studio Art. Ralph was born in Trinidad in 1929. He attended Naparima College and Naparima Teachers College and received a Government Art Scholarship to study at Brighton College of Art (now Brighton University) in England. After nine years as Art Officer in the Ministry of Education and Culture he embarked on Graduate studies at the University of Maryland earning both MFA and PhD degrees. Circles is a minimalist floor lamp designed by Kutarq Studio for Millelumen Germany. It combines a thin metal structure with a cylindrical marble base and circular head. 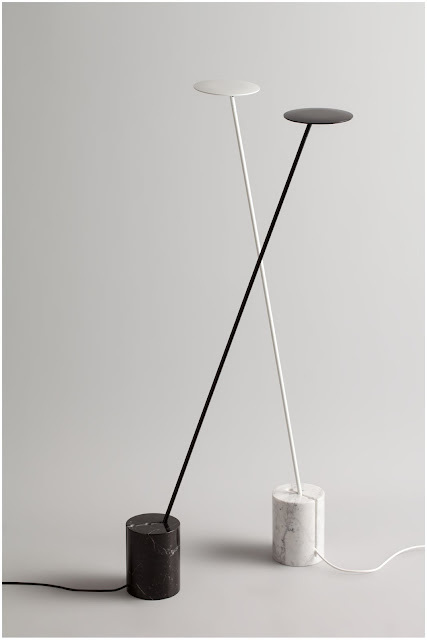 The stem of the lamp can be adjusted in three different ways, while its head can be tilted and rotated to create the perfect environment for reading. The lamp is fitted with an LED light source and the marble base is available in polished black Marquina or white Carrara. Basket by Benjamin Hubert's design agency Layer, is a timber carrier developed for Fritz Hansen using that brand's historic steam-bending techniques. The piece is formed using two different techniques made popular by Fritz Hansen: the handle is made from solid steam-bent timber and the basket is made from pressed laminated timber. The handle extends through the basket to create feet add stability, enabling it to stand firmly on the floor whilst being visually pure. Basket is said to be a balance of classic materiality, the feminine form and useful functionality which are the hallmarks of the iconic Danish brand. 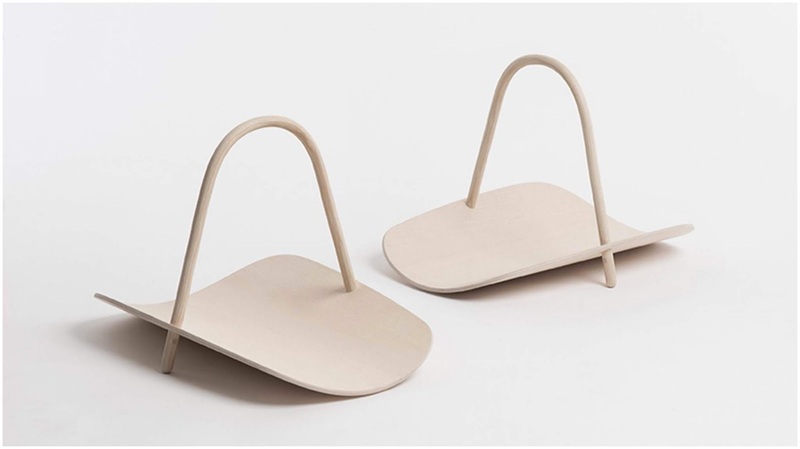 The gentle asymmetric curve of the body, the handle and the material used are all intended to make the piece feel authentically connected to the company's DNA. With a slightly mid-century feel, Basket is both a decorative home accessory and functional storage as it can be used to stack papers, magazines, books, cushions, or other items. Basket was launched during Milan design week at the Fritz Hansen retail space and is available in natural oak, natural walnut, and stained oak. 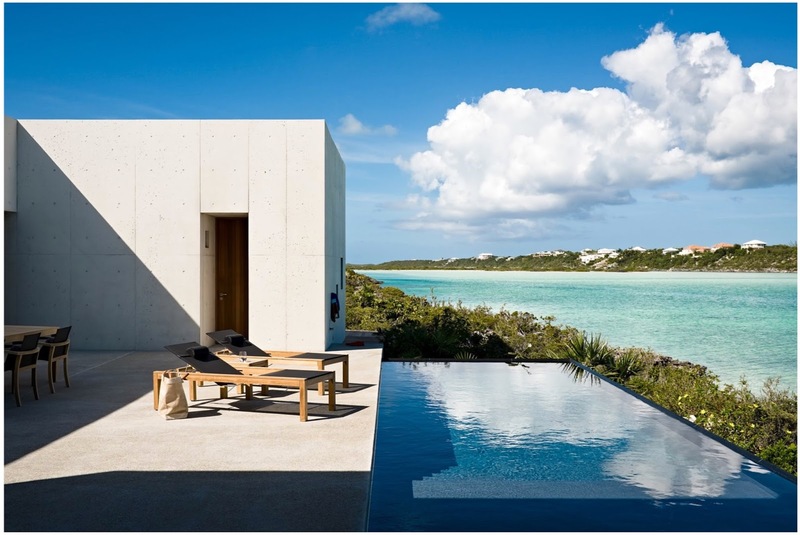 Located on the southwest coast of Providenciales, an island in the Turks and Caicos archipelago, is Le Cabanon, a striking, brutalist family retreat designed by Arizona-based Rick Joy Architects. In spite of the fact that Joy's firm is not local, the build works surprisingly well in its environment. For Joy, location takes precedence and he has a reputation of working with the unique qualities of a site. Le Cabanon sits beautifully within the landscape. Perched on the rocky coastline that occurs along many of these northern coral islands rather than on the shores of a sandy beach, the textured concrete form of the house contrasts beautifully with the brilliant blues of the surrounding sea and has the added benefit of being able to withstand the hurricanes and storms that often ravage the area. The house features a generously-sized terrace which connects the private areas in the west with the more public area that houses the living and dining room, and kitchen in the eastern pavilion. There is a feeling of solidity about the structure but Joy's design does not compromise the views of the water or natural xerophytic vegetation both of which are framed through generously wide and strategically placed Mahogany doors and windows. These openings allow light to enter and air to flow freely throughout the building. Le Cabanon was constructed using specially trained local builders and the materials used were locally sourced whenever possible in order to minimise the footprint of the house. Joy also placed a large tank beneath the main terrace for the storage of water and has installed photovoltaic panels on the flat sections of its roof.